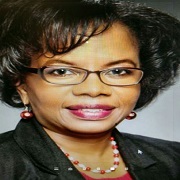 Dr. Bernadette Marie Pollard is a contributing faculty at Walden University in the School of Nursing for 5 years. In her role at Walden University, she facilitates online learning for nurses pursuing MSN degrees in a variety of advanced practice specializations and spend time mentoring and coaching learners completing course assignment. She received her PhD from Capella University, DNP from Governors State University, MBA from Our Lady of the Lake University, MSN from Governors State University, and her BSN from Lewis University. She is specialized in nursing leadership, management, and education. She holds an advanced nurse executive certification (NEA-BC) from the American Nurse Credentialing Center (ANCC). Besides facilitating online learning, she enjoys volunteering her time to mentor graduate and under-graduate nursing students because it gives her the opportunity to help them grow and it permits mutual sharing of knowledge and expertise. Her expertise in research is qualitative and quantitative methods and has 5 years of research consultant experience in a hospital setting. She truly enjoys teaching and seeing others grow & succeed academically and professionally. Pollard, B. (2015). Effective Relationship Positively Drives Satisfaction in Healthcare. Pollard, B. M., Lewondowski, S., George, B., Lusk, J., Olivier, J., Pham, L., , . (2016). Holiday Bells are Ringing- Nurse Educator Workshop. Memorial Hermann Memorial City Medical Center. Pollard, B. M. (2016). Basic Fundamental of Research. Memorial Hermann Memorial City Medical Center.